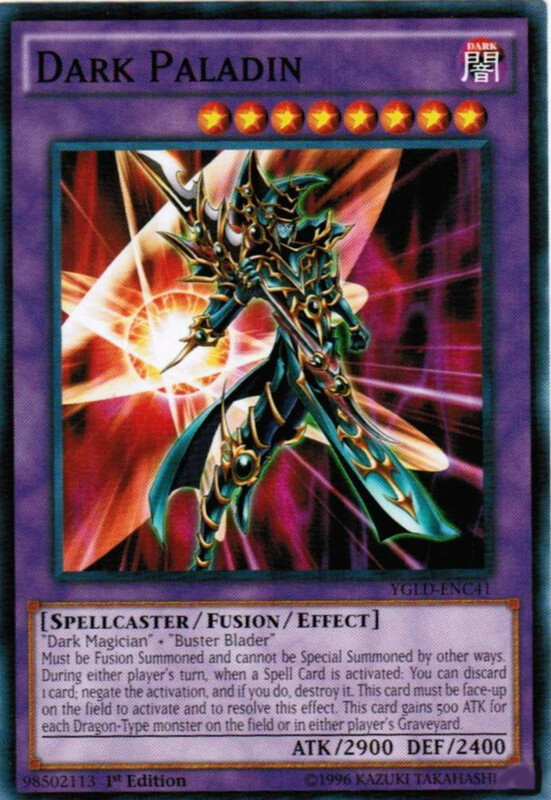 Any duelist worth their Blue-Eyes knows about Exodia the Forbidden One and his game-winning effect. 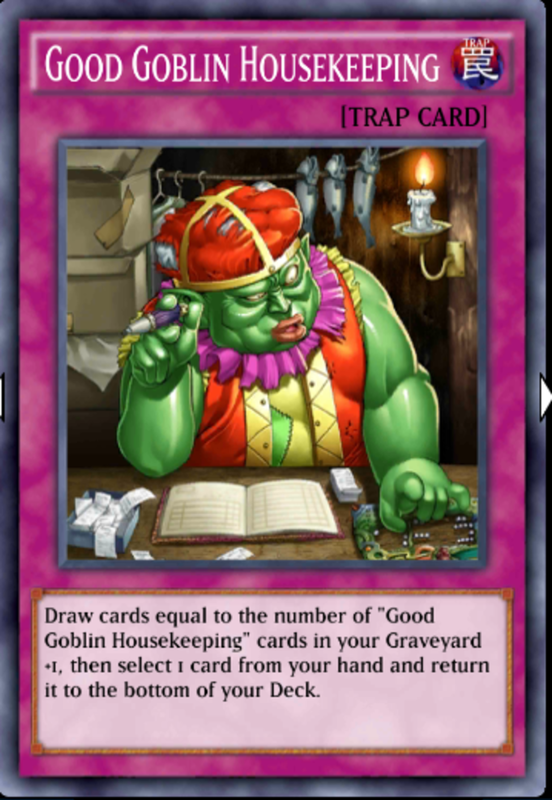 By amassing his five monster cards in your hand, you immediately win the duel, regardless of how many monsters are fielded or your life point totals. However, amassing all five won't be easy, especially since they're all limited, meaning you can only include a single copy in your deck. 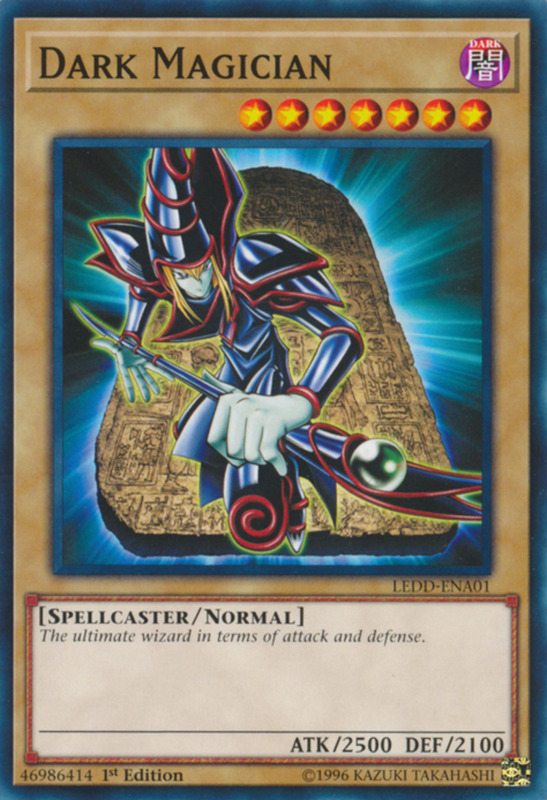 Thus, Exodia builds lean toward defense, stalling and hampering their foes with a variety of shield effects while they race to gather the five Exodia pieces. 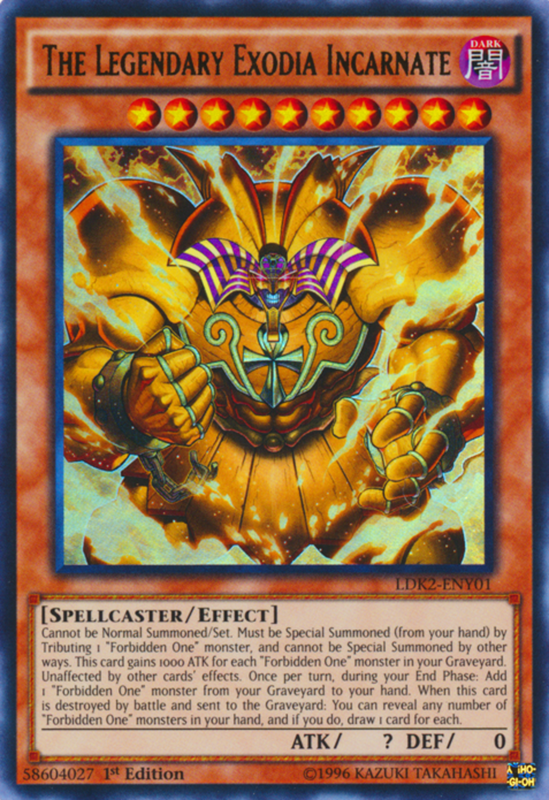 You can review all Exodia related cards below, but they're unimpressive normal monsters who won't help much beyond activating Exodia's ultimate effect. So, with dozens of stall cards available but only 40 spaces in your deck, which Exodia supports are worth using? These are the ten best Exodia cards crucial to stealing an instant Yu-Gi-Oh victory! 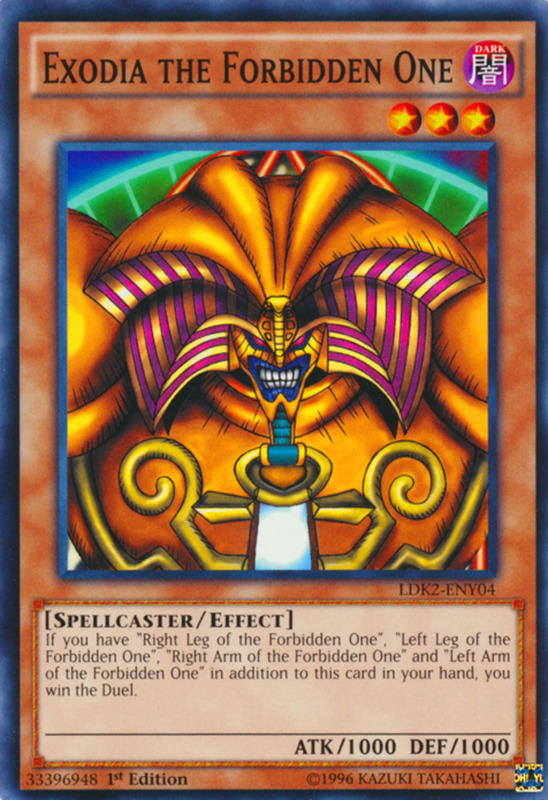 The Legendary Exodia Incarnate cannot be normal summoned or set but is special summoned from your hand by tributing one of the Forbidden One monsters listed above. 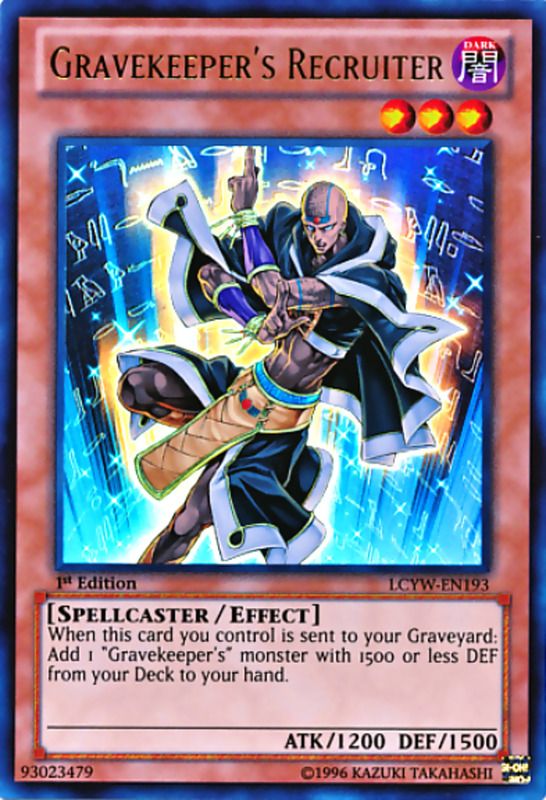 He gains 1000 ATK for each Forbidden One card in your graveyard (which should at least be one considering his summon condition), and is completely unaffected by other cards' effects, an astounding barrier that makes him only vulnerable to combat destruction. 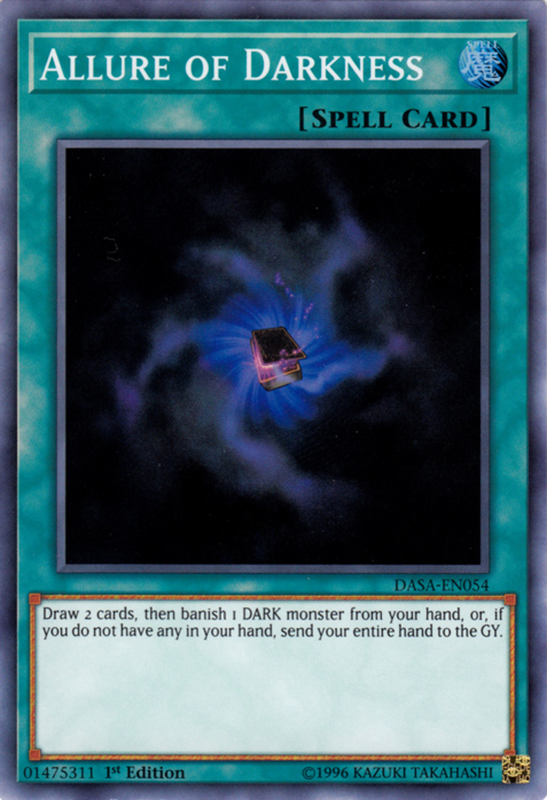 If you're concerned about fielding your precious components for Incarnate's summon (and losing them from your hand), don't fret—Incarnate automatically returns a Forbidden One from your graveyard to your hand during your end phases, and you can also recover them with spells like Dark Factory of Mass Production. Finally, when Incarnate is destroyed by battle, you can reveal any number of Forbidden Once cards in your hand and draw a card for each, a superb exit effect that draws you more cards the closer you are to your auto-win. You can discard our next entry to add two level 4 light-attribute thunder-type monsters with the same name and 1600 or less ATK from your deck to your hand. 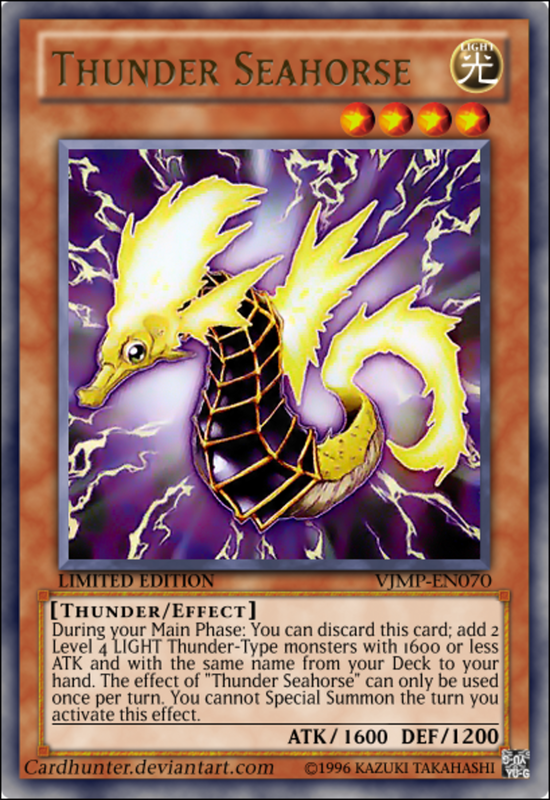 That's a lot of criteria that really narrows your options, but this can pull two Thunder Sea Horses who can further pull even more cards (eventually, since it's a once-per-turn ability). The turn you this effect, you forfeit your ability to special summon, but since Exodia decks aren't offense-oriented, most of the time you're not trying to access your extra deck or special summon through other means anyway. Sea Horse rapidly cycles through your deck, increasing your chances of drawing Exodia cards and loading your hand with fodder monsters to either take some hits in defense position or serve as discard fuel. 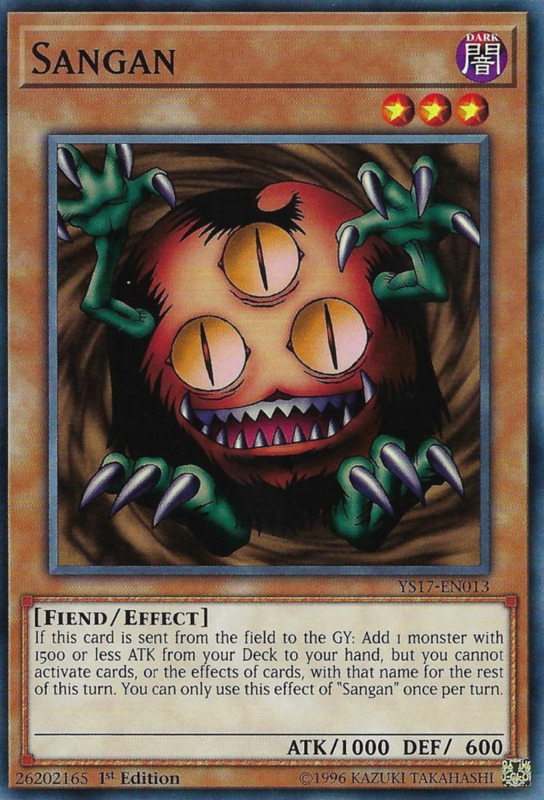 Fiend-type Sangan searches out a monster with 1500 or less ATK when sent to the graveyard from the field while spellcaster-type Witch of the Black Forest does the same but searches monsters with 1500 or less DEF. All Forbidden One monsters fit both conditions, letting you easily hunt them out with both cards. Witch of the Black Forest bears slightly better battle stats, but these can actually hinder her since they don't fit the formidable trap Crush Card Virus's conditions that can dramatically slow your opponent (and relies on your monster have 1000 or less ATK). That said, Witch's level 4 is more useful for another trap we'll soon see (Soul Transition), so pick between Sangan and Witch based on which trap you prefer, or simply use both! 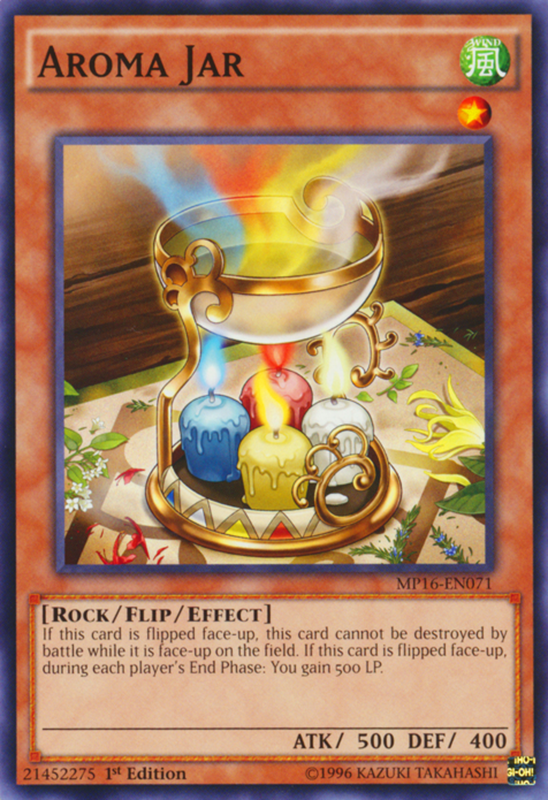 One of the game's best life point-regenerating forces, Aroma Jar offers two effects perfect for an Exodia blend. First, once it's flipped face-up, it can't be destroyed by battle as long as it remains face-up, indefinitely stalling your opponent until they can spare a monster removal. However, in the meantime, Aroma gains you 500 life points during each player's end phase, an exceptional recovery that fortifies your life points in case your adversary ever advances through your defense. It's as simple as that: a battle-immune shield that buffs your life points for the inevitable. A member of the interesting Goblin archetype, Good Goblin Housekeeping lets you draw cards equal to the number of copies of itself you have in your graveyard plus one, then place a card from your hand onto the bottom of your deck. The first Housekeeping you activate won't change your overall hand size, but it'll let you cycle an unneeded card back into your deck while keeping a more useful one. But the second and third times you play it, not only do you riffle through your deck, you also increase your overall hand size, quickly attaining either the Exodia materials or additional defenses/searches to buy time and find them. Like all traps, Housekeeping can be activated at quick-play speed, making it smart to bait out an opponent's spell/trap destroyer, have them waste it on Housekeeping, then activate Housekeeping in response before it can be annihilated. 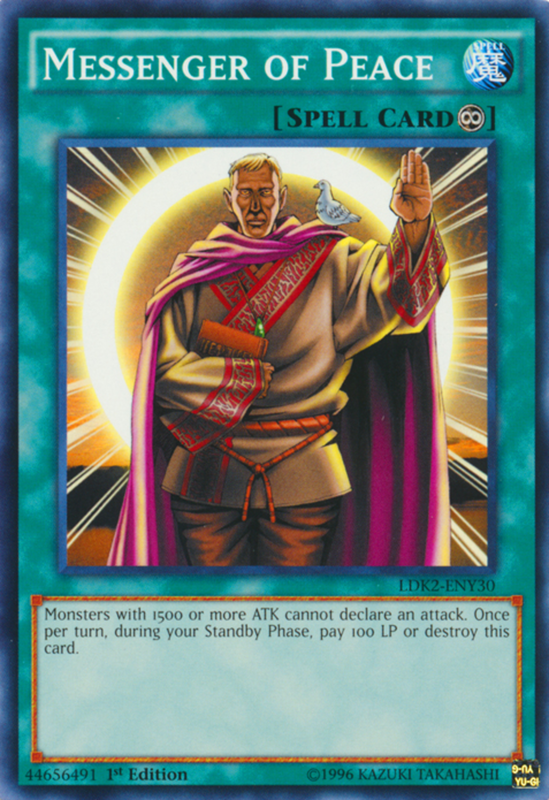 A simple card with a negligible cost, Messenger of Peace requires you pay a mere 100 life points during your standby phases to keep it active, but it handily prevents all monsters with 1500 or more ATK from attacking! This blocks all but the weakest of foes and allows many of your Exodia utility monsters (like Sangan and Witch) to still attack if they like. Messenger of Peace has aged particularly well next to other stall cards that depend on an opponent's monster levels such as "Burden of the Mighty" and "Level Limit - Area B". Because link and xyz monsters don't have levels, they're immune to these barricades—but not to Messenger. A simple but useful spell, Allure of Darkness has you draw two cards, then banish a dark monster from your hand; if you can't, you send your entire hand to the graveyard. Again, your overall hand size doesn't change, but you're sifting through your deck, exiling what you don't need and keeping the Exodia limbs that you do. Just be careful with this; unless you're running rare exiled-returning tricks like Burial from a Different Dimension, you could end up permanently banishing a crucial Exodia component if you're not careful. 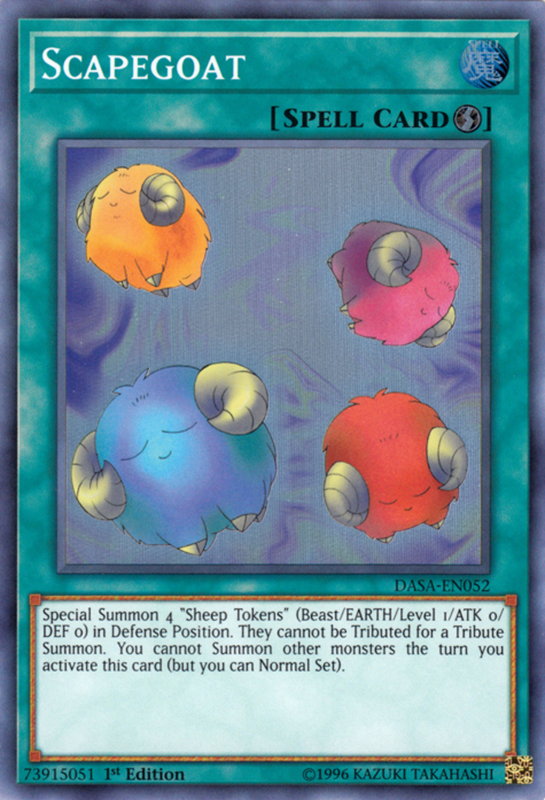 A classic seen in the original anime, Scapegoat special summons four "Sheep Tokens" to your field in defense position. These little guys count as level 1 monsters and only have 0 ATK and DEF, but four wall monsters with a single card can block numerous attacks over multiple turns. Additionally, because Scapegoat is a quick-play spell, you can even activate it on your opponent's turn, especially useful after making them waste a removal on it! 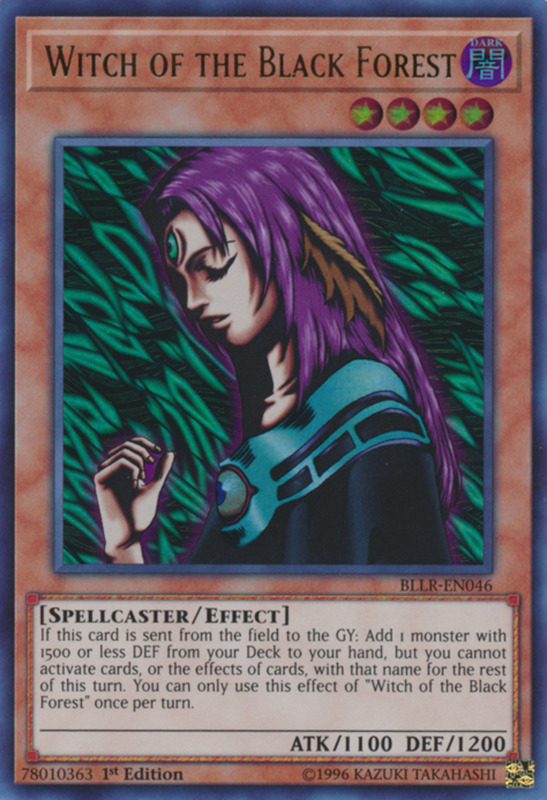 This also avoids Spacegoat's limitation of preventing you from summoning (but not setting) other monsters the turn you activate it. 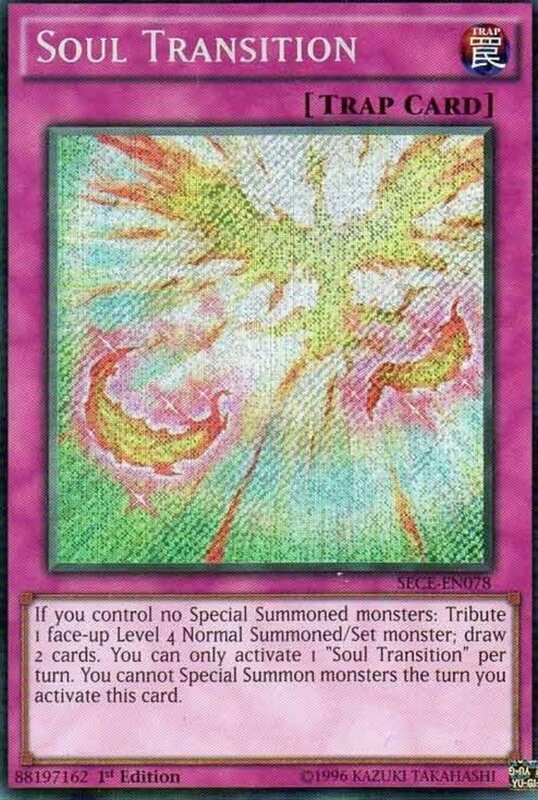 Soul Transition can only activate while you don't control any special summoned monsters; thankfully, Exodia decks rarely special summon, and when they do, those monsters are usually destroyed by battle quickly. Once triggered, Soul tributes a face-up normal summoned or set monster you control to let you draw two cards! However, you can only activate one per turn and you can't special summon the turn you play it (which is likely to be on your opponent's turn anyway, mitigating the issue). Luckily, many level 4 cards like Thunder Sea Horse and Witch of the Black Forest excellently blend into Exodia deck lists, so you should have plenty of fodder to spend. In short, Soul Transition potentially wastes an opposing removal while drawing you the cards you desperately need. 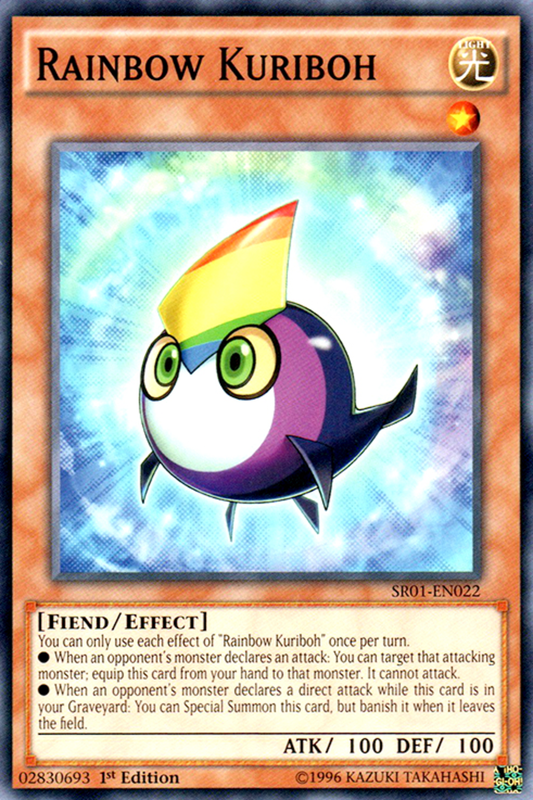 Arguably the best member of the Kuriboh archetype, "hand trap" Rainbow Kuriboh rests safely hidden in your hand until needed. When your opponent's monster declares a direct attack, you can equip Rainbow from your hand to that monster, and as long as Rainbow stays equipped, that monster can't attack. Not only does this negate their initial strike, it shuts down that monster's offense until they can remove Rainbow, and doing that will cost a spell/trap removal. 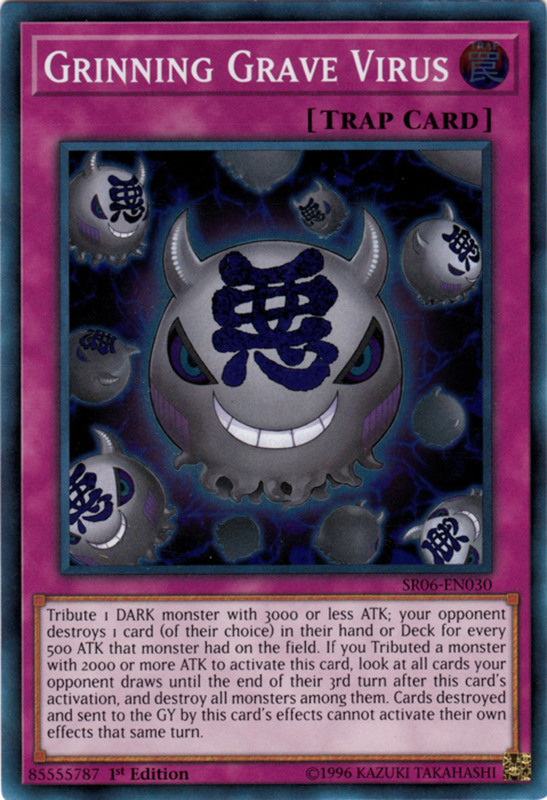 Additionally, when your opponent's monster declares a direct attack while Rainbow is in the graveyard, you can special summon it, but must banish it when it leaves the field. This simply blocks a direct hit, saving your life points and allowing you more time to draw the Exodia clan and pull off a dramatic comeback. With its tantalizing auto-win and continued expansions of draw engines and stall cards, Exodia blends remain as fierce as ever. It may cost you a forbidden arm and leg, but it's a fun deck that completely changes the nature of a duel into a race against time. 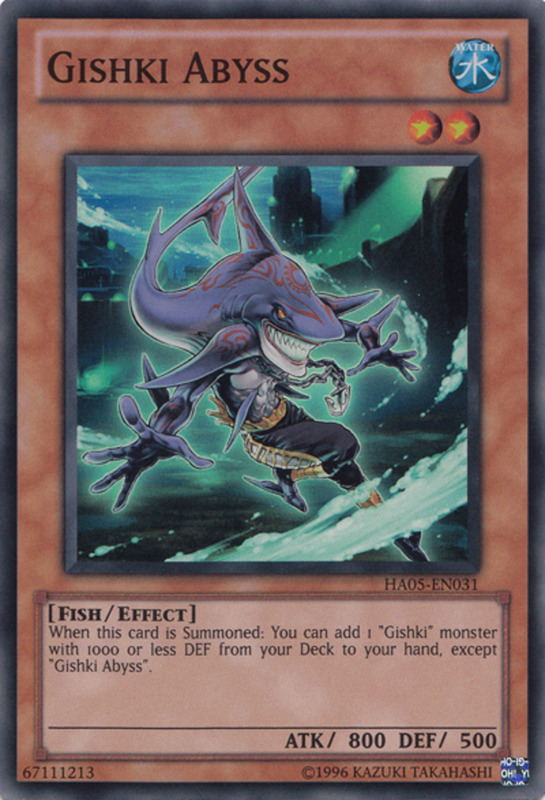 Feel free to browse our original countdown for more defensive staples to help you construct the ultimate unblockable Exodia victory, but for now, as we eagerly await Konami's next expansion of Exodia-supporting defensive measures, vote for your favorite card and I'll see you at our next Yu-Gi-Oh countdown!